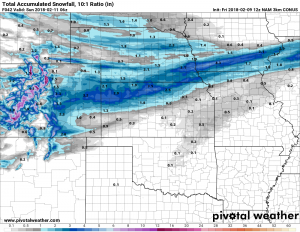 Midweek Update – More Snow on the Way? 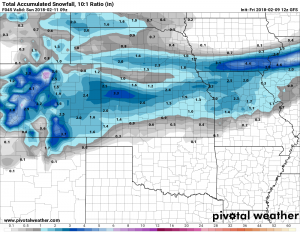 Another Weekend, Another Chance for Snow! 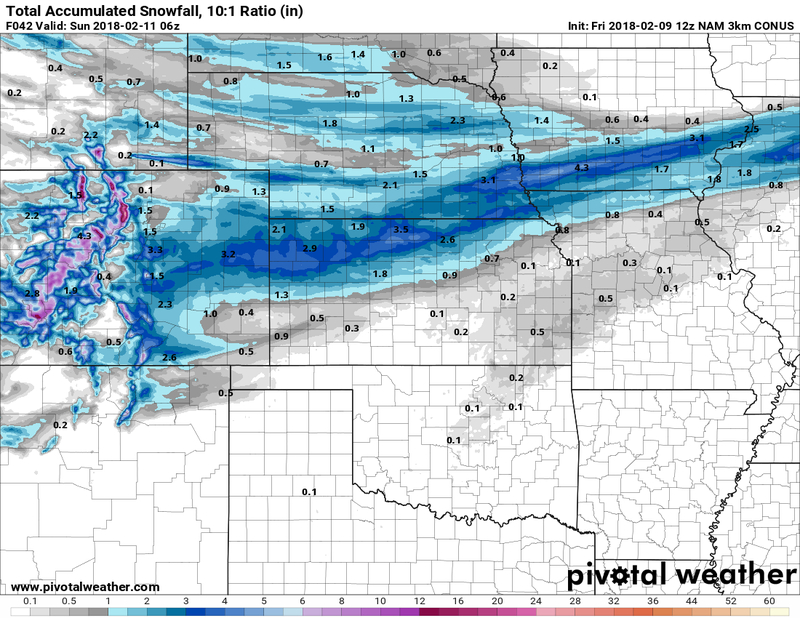 A quick look at the Nam3k shows snow moving in during the early afternoon hours and spreading snow from the Northwest to the Southeast. 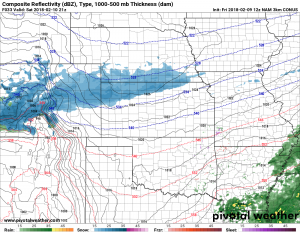 The key word here is “Northwest” and at the risk of sounding like a broken record, storms moving in from the Northwest are rarely something to get excited about if you like big snow. This model shows banding possible across some locations East of the mountains and its areas that set up under those snow bands that will see the most snow. Those higher numbers are expected to be in the 3-4 inch range across the Palmer Divide but remember this will only happen where those snowfall bands set up. I like to reiterate a lot: models are great at showing that there WILL BE snowfall bands but terrible at predicting EXACTLY where they set up. You’ll notice the much lower snow amounts through the storm’s exit late Saturday night but the presence of snowfall bands are still there. That’s one thing we can be pretty sure of is that banded snowfall will accompany this storm. This storm is a tricky forecast because snowfall amounts will vary greatly based on where those snowfall bands set up, we’ve seen storms dump 6 inches on Monument Hill while leaving Castle Rock with a dusting. We are pretty confidence most areas will see SOME amount of snow accumulation, but some will see very little while some will see more. There is no indication this will be a major storm and the forecasts and meteorology just don’t support it; so no need to run to the store to stock up! 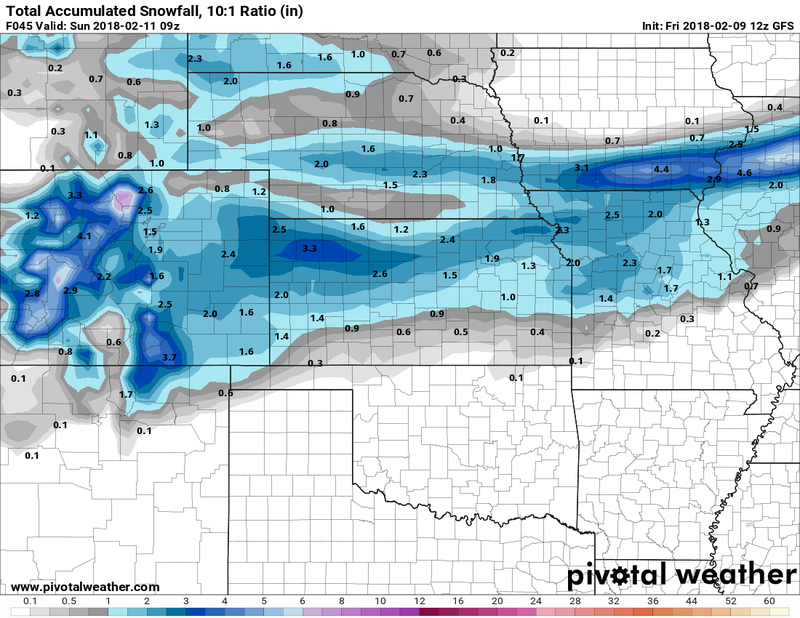 Forecasts call for 1-4 inches for the Castle Rock area, with slightly higher amounts South towards Monument Hill and Monument; generally 2-5 inches. Areas in the foothills like Western Douglas County should fall in that 2-5 inch range and areas along the Eastern Palmer Divide should fall within the 1-4 inch range. As the atmosphere has saturated a bit we’ve seen freezing fog already on Friday morning. Roads may be slick in a few spots going into Friday night but the main impact will be Saturday. Timing is still a question but expect road conditions to deteriorate a bit Saturday afternoon and evening. Icy and snowpack conditions will be possible mainly under those areas of more intense snowfall (under snowfall bands) in other areas we expect only light to moderate travel impacts. I very much wish we could see a different type of storm and see more snowfall but the truth is this storm looks just like the past several we’ve had. 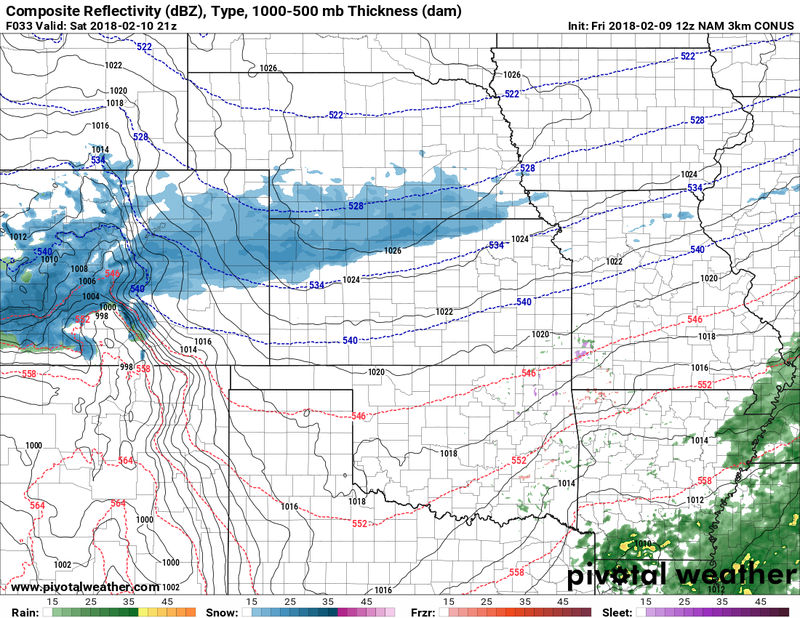 It just doesn’t have the setup we like for a big snow along the Front Range. We will keep an eye out for a change but sadly the atmosphere and some of the ocean conditions are not conducive to a big snow storm heading our way at this time. La Nina’s are historically a very dry type of pattern for Eastern Colorado and while big snow storms are rare they can happen during these setups. We just aren’t seeing any evidence of many big storms coming our way at this point. Stay tuned! John, love your site and using for the last couple of years. What’s the issue with old web pages occurring the past two days? Only getting current info from your daily email. Thank you so much! I haven’t seen any issues, what’s going on exactly? Let me know and I’ll try to figure out what’s going on.